Before I started blogging, I was just surviving with my chronic illness. Through blogging, I have learned to thrive with my illness and teach others to do the same. 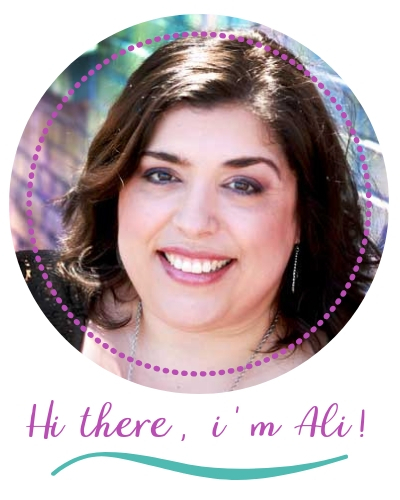 I am now a chronic warrior and blogging can do the same for you! “WHATEVER YOU WERE TAUGHT IN MED SCHOOL, I AM THE EXCEPTION TO THE RULE." I personally go a step further and believe that I am actually the exception to the exception of the rule. After all My Lifetime Health Issues, I had Convinced Myself I was . . .
After years of being diagnosed with different health problems, a few of my specialist doctors started connecting the dots between the different diagnoses. Then I started learning how the diagnoses were interrelated and often played off each other. Finally, after more than 20 years of seeing multiple specialist and still living a norm that would make most people cry, I saw a rheumatologist. When going through my health history, the doctor kept pointing out that all of these different health conditions I had been diagnosed with fell under the autoimmune umbrella. Ha! Finally, I had proof that I was not lazy, flaky, weak, broken, and nothing but a burden to those I love. The day I was officially diagnosed with Rheumatoid Arthritis, I felt venerated! Then, Blogging walked into my life . . .
One day, I was scrolling through Pinterest and came upon a pin that was titled, “How I Made $2000 last month on Pinterest.” Intrigued to, say the least, I clicked through to a post on someone’s blog. The post made blogging sound so simple. Just find something you are passionate about and write. Write about things that help others and use your personality to make it unique. That post was also how I was introduced to Ruth Soukup and Elite Blog Academy. Blogging seemed to be a perfect fit for me. As soon as I found out about the Elite Blog Academy Course, I jumped on the waitlist! Meanwhile, I found Ruth's book, How to Blog for Profit Without Selling Your Soul. I must have read that book 5 times because I was so excited to get my blog started and I still had to wait for months (seemed like years) for enrollment to open--it only opens ONCE per year. Don't miss out! Get on the Waitlist Here! What I learned from elite blog Academy . . . Provide Real Value To Your Readers So That They Can't Help But Want To Come Back For More. Get these free amazing items to get you started . . . Chronic Illness warrior Life was Born! on my blog, i provide . . . Being my own reader, I live the story I tell on my blog. I started my blog to share my life experiences as a wife and mother of 4, my faith, and my edgy sense of humor to help others thrive--not just survive. Blogging has made me a warrior in a battle I didn’t even think I had a chance to win. You can be a warrior too--become a part of the CHRONIC ILLNESS WARRIOR LIFE community and let’s thrive together! I was so honored when the team at Elite Blog Academy reached out to me to write my testimonial . . .
To say that Elite Blog Academy has changed my life is an understatement. Not only have I experienced amazing growth in my business, but EBA has also exploded my personal growth. Unlike many entrepreneurs in the business world today, Ruth’s core values make her exceptional. Elite Blog Academy is designed on the foundation of those same values. This is a course that offers a lifetime of learning. Even though I started EBA at the same time as I began my blogging journey, I have gone back to the beginning of the course and worked through it again as I have zeroed in on my audience and refined my message. Because your blog is a representation of your growth as a person as well as an entrepreneur, it is constantly evolving. I fully expect that I will work through the course many more times in the future. EBA teaches you sound business principles and effective strategies to continue to grow and scale your business, not about how to use the latest algorithm to achieve overnight success. We are all on a different journey. Having a chronic illness, has taught me patience. I am not always able to put what I have learned into practice right away, so I have realized that the measure of your success is not a result of how quickly you finish the course. By the way, that is exactly what Ruth teaches throughout the course—yes, I know, I can be a little stubborn sometimes. Elite Blog Academy teaches you that the measure of your success is so much more than your page views, your social media followers, and the deposits into your bank account. Success is about being a good steward. Every Elite Blog Academy V.I.P. as well as every staff member of LWSL, Inc. lives out this philosophy. Ruth’s mission is to teach others to be successful and she willingly shares her secrets to success. Investing in Elite Blog Academy is a sure-fire way to ensure your success. No matter who you are or what your circumstances, you have a unique story that the world needs you to share.